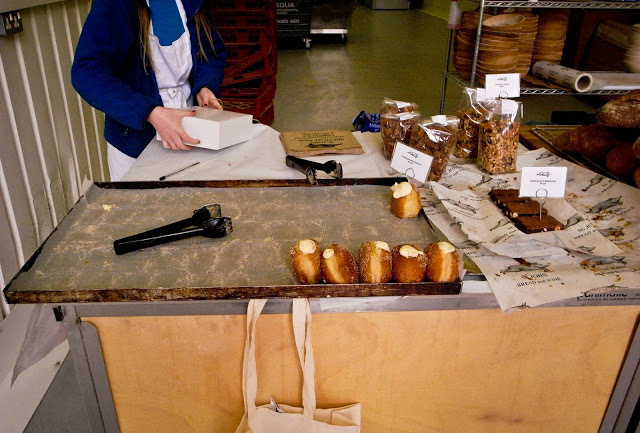 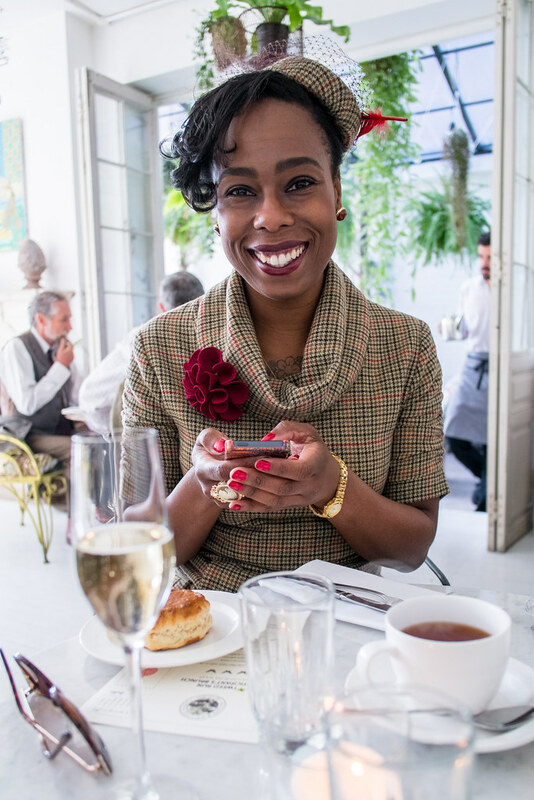 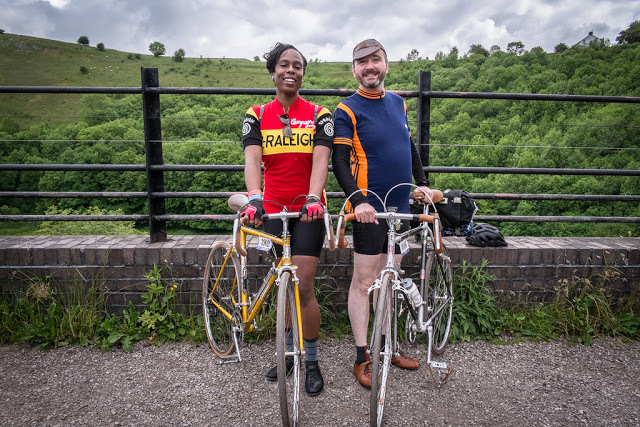 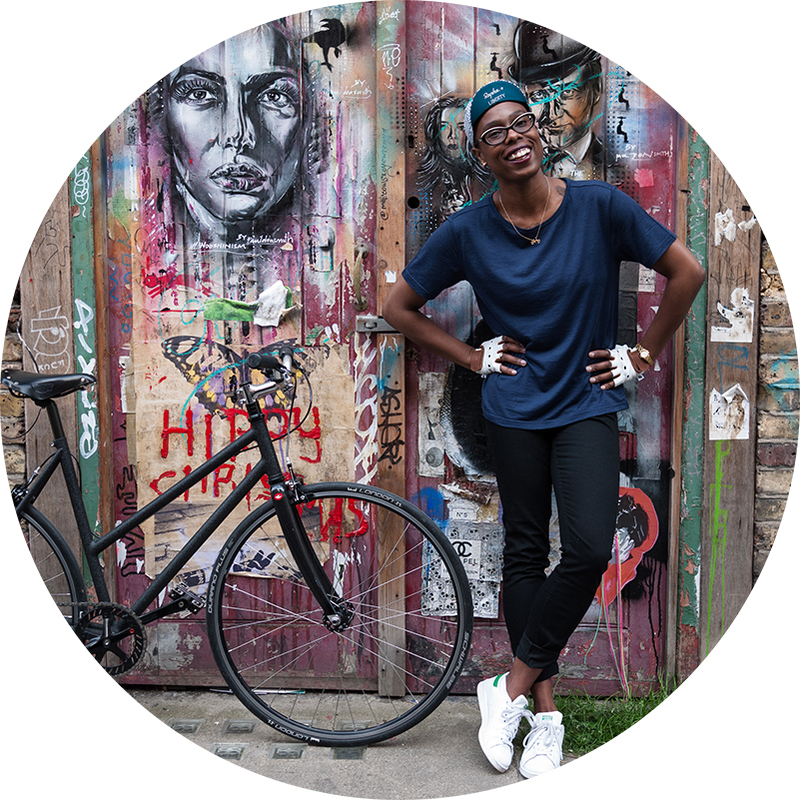 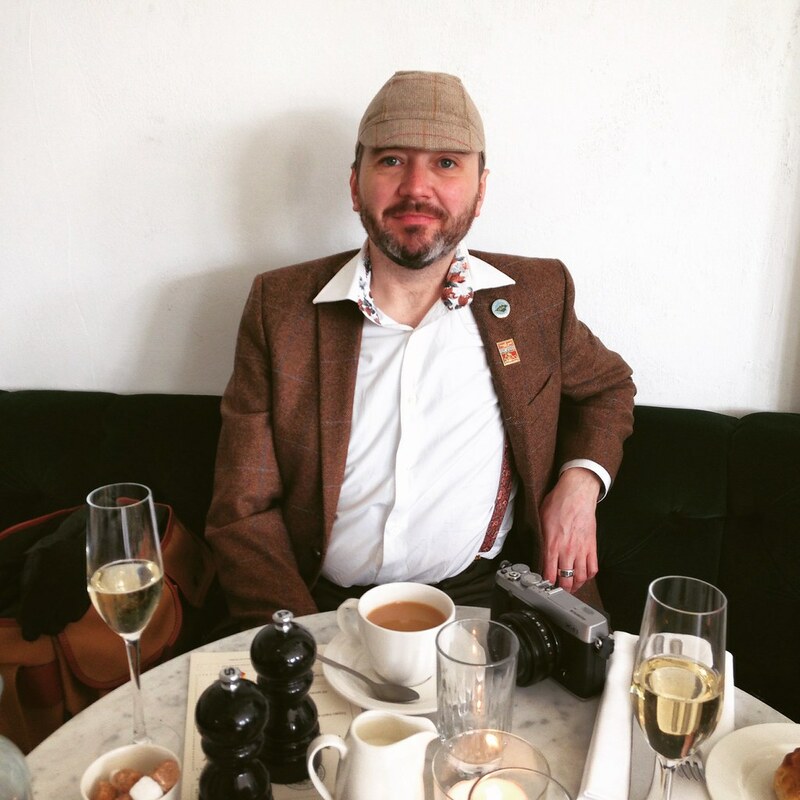 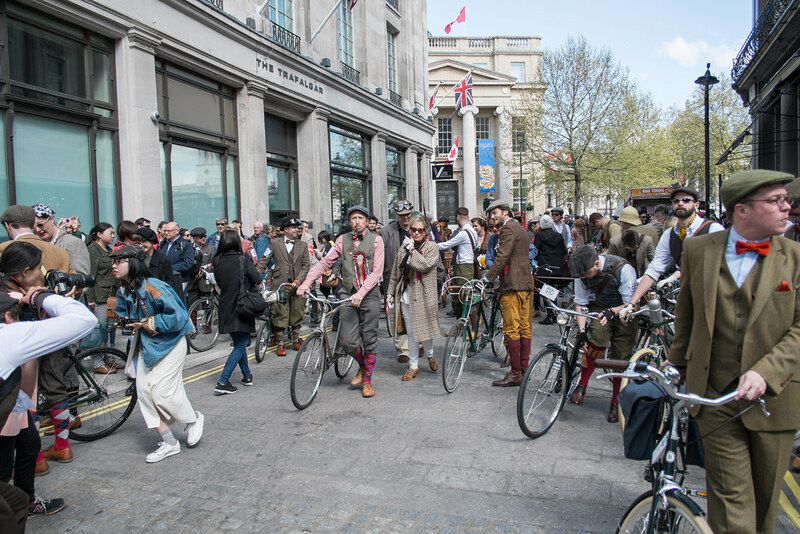 We don’t usually set off for the event on empty stomachs, but this year was rather different as we cycled to Clerkenwell for the Tweed Run Brunch. 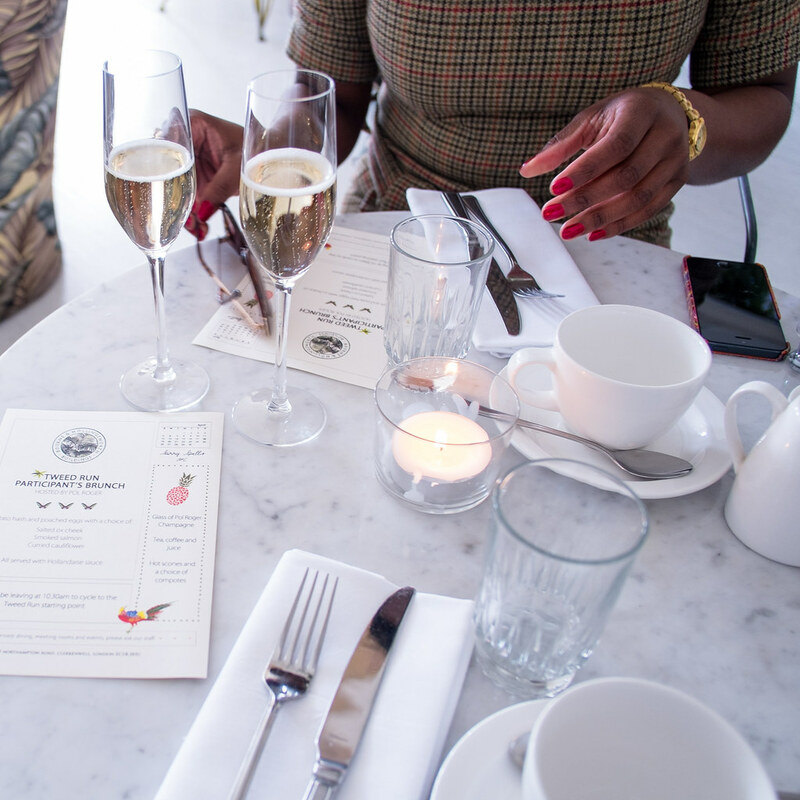 Held at the beautiful Bourne & Hollingsworth Buildings and hosted by fizzy rascals Pol Roger, the day was kicked off in splendid style with a couple of glasses of chilled champagne and an incredibly hearty menu to follow. 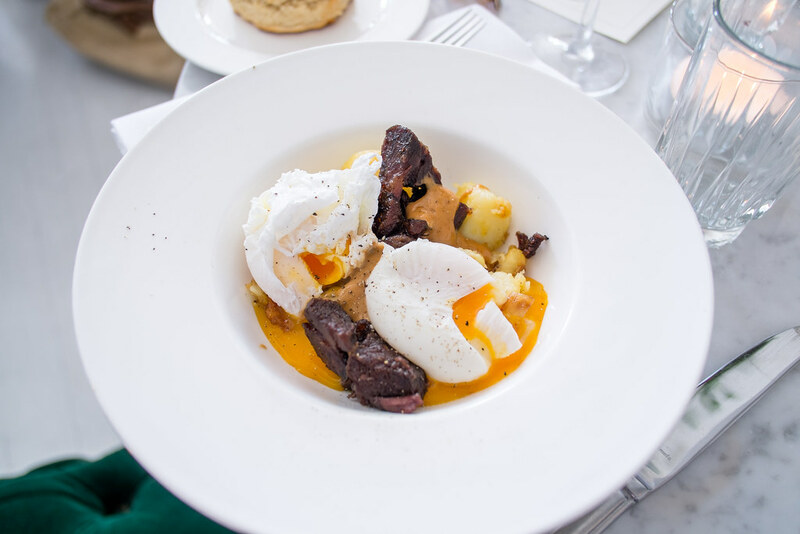 Consisting of hot scones, tea and Potato Hash/Poached Eggs with Salted ox cheek, it was a good job we did arrive hungry… this seriously set us up for the day! 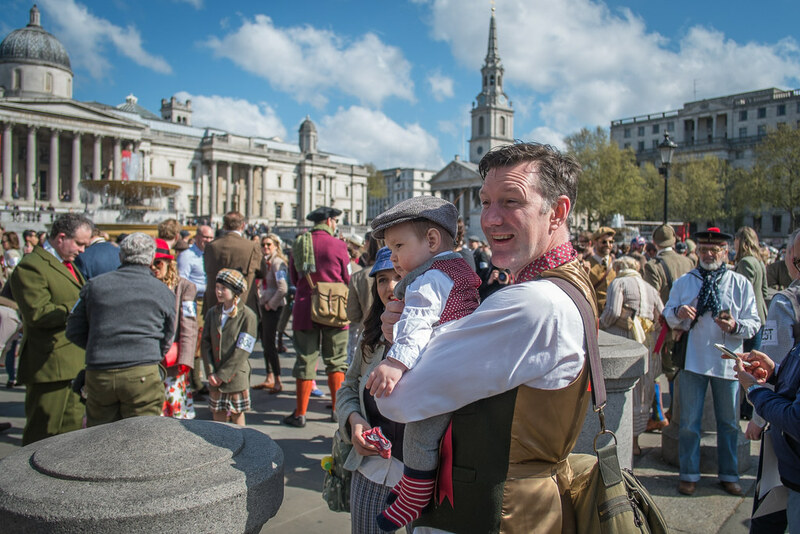 Champers quaffed and stomachs full, we took a leisurely ride to Trafalgar Square, the starting point for the ride and traditional official photo call to open the day. 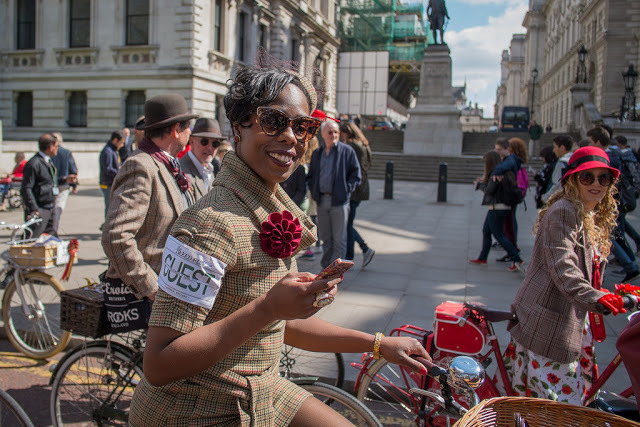 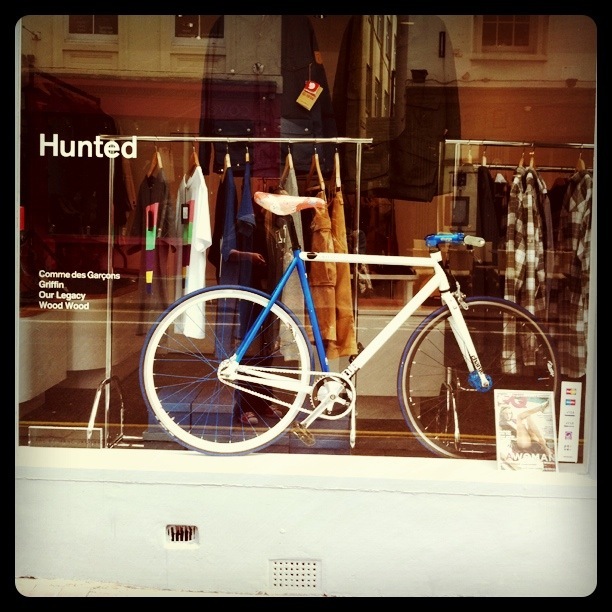 I’ll never tire of arriving to a sea of beautiful outfits and bicycles in all shapes and sizes, all gathered in one place for the Tweed Run… and how it unfailingly gets an inquisitive and friendly response from onlookers.